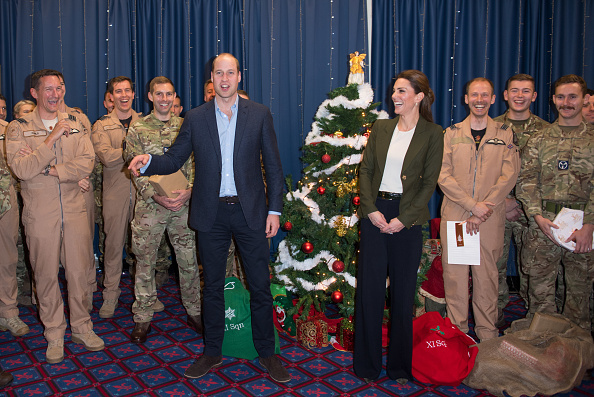 Posing for a holiday snap alongside military personnel who are spending their Christmas in Cyprus, the Duke and Duchess of Cambridge stood in for a Christmas photo at which point William basically pointed out that Kate was dressed like the backdrop. William's joke went down a treat. "My wife's camouflaged against the tree, do you want me to move out of the photo?" The witty dad joke from HRH garnered quite some laugh from both Kate and the military personnel who were all captured laughing at William's one-liner. According to the palace, they outlined this year's festivities writing that William and Kate will have "two engagements in London and in Cyprus in support of deployed military personnel and their families who will be apart over the festive period." 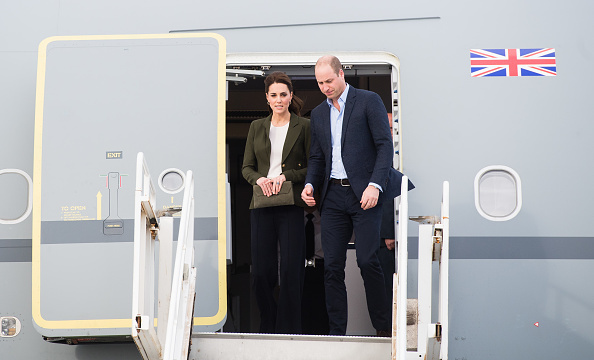 The Duke and Duchess of Cambridge arriving in Cyprus yesterday. Will and Kate are making sure those working in the military get time to rest too by opening up an "Oasis Centre" at RAF Akrotiri in Cyprus, a place where personnel can relax when they aren't on shift. A very sweet gesture and a very busy period for the Duke and Duchess of Cambridge.